Mounts On Wall. Durable Steel Rod Frame Construction. Compact Design. 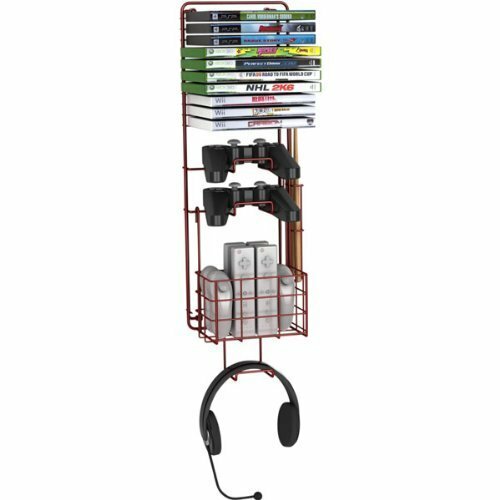 Holds 2 Controllers, 2 Drum Stick, 1 Headphone & 10 Games. Includes Mounting Hardware. Holds 2 Controllers, 2 Drum Stick, 1 Headphone & 10 Games. Durable Steel Rod Frame Construction. Mounts On Wall. Compact Design.